Clockwise from top: St Peter's Collegiate Church, the Chubb Building, Wolverhampton Art Gallery and the i10 building as part of the Interchange Project. "Out of darkness cometh light"
Wolverhampton (/ˌwʊlvərˈhæmptən/ ( listen)) is a city and metropolitan borough in the West Midlands, England. At the 2011 census, it had a population of 249,470. The demonym for people from the city is 'Wulfrunian'. Historically part of Staffordshire, the city grew initially as a market town specialising in the woollen trade. In the Industrial Revolution, it became a major centre for coal mining, steel production, lock making and the manufacture of cars and motorcycles. The economy of the city is still based on engineering, including a large aerospace industry, as well as the service sector. The city is named after Wulfrun, who founded the town in 985, from the Anglo-Saxon Wulfrūnehēantūn ("Wulfrūn's high or principal enclosure or farm"). Prior to the Norman Conquest, the area's name appears only as variants of Heantune or Hamtun, the prefix Wulfrun or similar appearing in 1070 and thereafter. Alternatively, the city may have earned its original name from Wulfereēantūn ("Wulfhere's high or principal enclosure or farm") after the Mercian King, who tradition tells us established an abbey in 659, though no evidence of an abbey has been found. The variation Wolveren Hampton is seen in medieval records, e.g. in 1381. A local tradition states that King Wulfhere of Mercia founded an abbey of St Mary at Wolverhampton in 659. Wolverhampton is recorded as being the site of a decisive battle between the unified Mercian Angles and West Saxons against the raiding Danes in 910, although sources are unclear as to whether the battle itself took place in Wednesfield or Tettenhall. The Mercians and West Saxons claimed a decisive victory, and the field of Woden is recognised by numerous place names in Wednesfield. In 985, King Ethelred the Unready granted lands at a place referred to as Heantun to Lady Wulfrun by royal charter, and hence founding the settlement. In 994, a monastery was consecrated in Wolverhampton for which Wulfrun granted land at Upper Arley in Worcestershire, Bilston, Willenhall, Wednesfield, Pelsall, Ogley Hay near Brownhills, Hilton near Wall, Hatherton, Kinvaston, Hilton near Wolverhampton, and Featherstone. This became the site for the current St. Peter's Church. A statue of Lady Wulfrun, sculpted by Sir Charles Wheeler, can be seen on the stairs outside the church. Wolverhampton is recorded in the Domesday Book in 1086 as being in the Hundred of Seisdon and the county of Staffordshire. The lords of the manor are listed as the canons of St Mary (the church's dedication was changed to St Peter after this date), with the tenant-in-chief being Samson, William the Conqueror's personal chaplain. Wolverhampton at this date is a large settlement of fifty households. In 1179, there is mention of a market held in the town, and in 1204 it had come to the attention of King John that the town did not possess a Royal Charter for holding a market. This charter for a weekly market held on a Wednesday was eventually granted on 4 February 1258 by Henry III. It is held that in the 14th and 15th centuries that Wolverhampton was one of the "staple towns" of the woollen trade, which today can be seen by the inclusion of a woolpack on the city's coat of arms, and by the many small streets, especially in the city centre, called "Fold" (examples being Blossom's Fold, Farmers Fold, Townwell Fold and Victoria Fold), as well as Woolpack Street and Woolpack Alley. In 1512, Sir Stephen Jenyns, a former Lord Mayor of London and a twice Master of the Worshipful Company of Merchant Taylors, who was born in the city, founded Wolverhampton Grammar School, one of the oldest active schools in Britain. Wolverhampton suffered two Great Fires: the first in April 1590, and the second in September 1696. Both fires started in today's Salop Street. The first fire lasted for five days and left nearly 700 people homeless, whilst the second destroyed 60 homes in the first five hours. This second fire led to the purchase of the first fire engine within the city in September 1703. On 27 January 1606, two farmers, Thomas Smart and John Holyhead of Rowley Regis, were executed on High Green, now Queen Square, for sheltering two of the Gunpowder Plotters, Robert Wintour and Stephen Littleton, who had fled to the Midlands. The pair played no part in the original plot but nevertheless suffered a traitor's death of being hanged, drawn and quartered on butcher's blocks set up in the square a few days before the execution of Guy Fawkes and several other plotters in London. There is also evidence that Wolverhampton may have been the location of the first working Newcomen Steam Engine in 1712. The young Princess Alexandrina Victoria of Kent (later Queen Victoria) is known to have visited Wolverhampton in the 1830s and described it as "a large and dirty town" but one which received her "with great friendliness and pleasure". In Victorian times, Wolverhampton grew to be a wealthy town mainly due to the huge amount of industry that occurred as a result of the abundance of coal and iron deposits in the area. The remains of this wealth can be seen in local houses such as Wightwick Manor and The Mount (both built for the Mander family, prominent varnish and paint manufacturers), and Tettenhall Towers. All three are located in the western fringe of Wolverhampton, in the areas known as Wightwick and Tettenhall. Many other houses of similar stature were demolished in the 1960s and 1970s. Wolverhampton gained its first parliamentary representation as part of the Reform Act 1832, when it was one of 22 large towns that were allocated two members of parliament. A local mob attacking electors who voted or intended to vote for the Tory candidate led to the 1835 Wolverhampton riot, with Dragoons called in to end the intimidation. Wolverhampton was incorporated as a municipal borough on 15 March 1848 under the Municipal Corporations Act 1835 before becoming a county borough in 1889. The railways reached Wolverhampton in 1837, with the first station located at Wednesfield Heath, now Heath Town, on the Grand Junction Railway. This station was demolished in 1965, but the area exists as a nature reserve just off Powell Street. Wolverhampton railway works was established in 1849 for the Shrewsbury and Birmingham Railway and became the Northern Division workshop of the Great Western Railway in 1854. In the 19th century the city saw much immigration from Wales and Ireland, following the Irish Potato Famine. In 1866, a statue was erected in memory of Prince Albert the Prince Consort, the unveiling of which brought Queen Victoria to Wolverhampton. The unveiling of the statue was the first public appearance Queen Victoria had made since the funeral of her husband. A 40-foot-tall (12 m) archway made of coal was constructed for the visit. The Queen was so pleased with the statue that she knighted the then-mayor, an industrialist named John Morris. Market Square, originally named High Green, was renamed Queen Square in honour of the visit. The statue replaced a Russian cannon captured from Sevastopol during the Crimean War in 1855, and remains standing in Queen Square. The statue is known locally, especially among younger residents, as "The Man on the Horse". Wolverhampton was represented politically in Victorian times by the Liberal MP Charles Pelham Villiers, a noted free trade supporter, who was also the longest serving MP in parliamentary history. Lord Wolverhampton, Henry Hartley Fowler was MP for Wolverhampton at the turn of the century. The Stafford Street drill hall was completed in 1890. Wolverhampton had a prolific bicycle industry from 1868 to 1975, during which time a total of more than 200 bicycle manufacturing companies existed there, but today none exist at all. These manufacturers included Viking, Marston, Sunbeam, Star, Wulfruna and Rudge. The last volume manufacturers of bicycles left Wolverhampton during the 1960s and 1970s – the largest and best-known of which was Viking Cycles Ltd, whose team dominated the UK racing scene in the 1950s (Viking's production of hand-built lightweight racing and juvenile bicycles exceeded 20,000 units in 1965). Closures of other smaller cycle makers followed during the 1980s including such well-known hand-builders as Percy Stallard (the former professional cyclist) and Jack Hateley. Wolverhampton High Level station (the current main railway station) opened in 1852, but the original station was demolished in 1965 and then rebuilt. Wolverhampton Low Level station opened on the Great Western Railway in 1855. The site of the Low Level station, which closed to passengers in 1972 and completely in 1981, is currently undergoing redevelopment. In 1918, David Lloyd George, the British Prime Minister, announced he was calling a General Election at "The Mount" in Tettenhall Wood. Lloyd George also made his "Homes fit for heroes" speech at Wolverhampton Grand Theatre in the same year. It was on the idea of "Homes fit for heroes" that Lloyd George was to fight the 1918 "Coupon" General Election. Mass council housing development in Wolverhampton, to rehouse families from slum housing, began after the end of the World War I, with new estates at Parkfields (near the border with Coseley) and Birches Barn (near Bantock Park in the west of Wolverhampton) being built, giving the city some 550 new council houses by 1923. The first large council housing development in Wolverhampton was the Low Hill estate to the north-east of the city, which consisted of more than 2,000 new council houses by 1927 and was one of the largest housing estates in Britain at the time. Mass council housing development in Wolverhampton continued into the 1930s, mostly in the north of the city in the Oxley and Wobaston areas and on the new Scotlands Estate in the north-east. However, council house building halted in 1940 following the outbreak of World War II in September the previous year. Wolverhampton St George's (in the city centre) is now the northern terminus for the Midland Metro light rail system. Wolverhampton was one of the few towns to operate surface contact trams and the only town to use the Lorain Surface Contact System. Trolleybuses appeared in 1923, and in 1930 for a brief period the Wolverhampton trolleybus system was the world's largest trolleybus system. The last Wolverhampton trolleybus ran in 1967, just as the railway line through the High Level station was converted to electric operation. England's first automatic traffic lights could be seen in Princes Square, Wolverhampton in 1927. The modern traffic lights at this location have the traditional striped poles to commemorate this fact. Princes Square was also the location of the United Kingdom's first pedestrian safety barriers, which were erected in 1934. On 2 November 1927, the A4123 New Road was opened by the then-Prince of Wales (later Edward VIII) linking the city with Birmingham. The New Road was designed as an unemployment relief project and was the United Kingdom's first purpose-built intercity highway of the twentieth century. Sir Geoffrey Le Mesurier Mander, a member of the Mander family, was Liberal MP for Wolverhampton East from 1929 to 1945, distinguished for his stance against appeasement and as a supporter of the League of Nations. He was known as "the last of the Midland radicals". More recent members have included the Conservative mavericks Enoch Powell and Nicholas Budgen. Powell was a member of Edward Heath's Tory shadow cabinet from 1964, until he was dismissed in April 1968 following his controversial Rivers of Blood speech in which he warned of massive civil unrest if mass immigration of black and Asian commonwealth inhabitants continued. At the same period, Sikh bus drivers and conductors were demonstrating in Wolverhampton against the Transportation Committee's regulations requiring uniform caps and thus prohibiting turbans. In 2005, former Bilston councillor and MP for Wolverhampton South East, Dennis Turner entered the House of Lords as Lord Bilston. After the end of World War II in 1945, the council erected 400 prefabricated bungalows across Wolverhampton, and built its first permanent postwar houses at the Underhill Estate near Bushbury in the late 1940s. The 1950s saw many new houses and flats built across Wolverhampton as the rehousing programme from the slums continued, as well as the local council agreeing deals with neighbouring authorities Wednesfield Urban District and Seisdon Rural District which saw families relocated to new estates in those areas. The 1960s saw the rehousing programme continue, with multi-storey blocks being built on a large scale across Wolverhampton at locations including Blakenhall, Whitmore Reans and Chetton Green. The later part of the decade saw the Heath Town district almost completely redeveloped with multi-story flats and maisonette blocks. By 1975, by which time Wolverhampton had also taken in the majority of the former districts of Bilston, Wednesfield and parts of Willenhall, Sedgley and Coseley, almost a third of Wolverhampton's population lived in council housing, but since that date social housing has been built on a minimal scale in the area, and some of the 1919–1975 developments have since been demolished. Large numbers of black and Asian immigrants settled in Wolverhampton in the 1940s, 1950s and 1960s. Wolverhampton is home to a large proportion of the Sikh community, who settled there during the period (1935–1975) from the Indian state of Punjab. Today, the Sikh community in Wolverhampton is roughly 9.1% of the city's population. In 1974, as a result of local government reorganisation, Wolverhampton became a metropolitan borough. The United Kingdom government announced on 18 December 2000 that Wolverhampton would be granted city status – an honour that had been unsuccessfully applied for in 1953, 1966, 1977, 1985 and 1992 – making it one of three "Millennium Cities". Wolverhampton also made an unsuccessful application for a Lord Mayor in 2002. Many of the city centre's buildings date from the early 20th century and before, the oldest buildings being St Peter's Church (which was built in the 13th century but has been largely extended and refurbished since the 15th century, situated on Lichfield Street) and a framed timber 17th-century building on Victoria Street which is now one of just two remaining in the area which was heavily populated by them until the turn of the 20th century. This building was originally a residential property, but later became the Hand Inn public house. It was completely restored in 1981 after a two-year refurbishment project and has been used by various businesses since then – currently as a second-hand book shop. On 23 November 1981, an F1/T2 tornado touched down in Fordhouses to the north of Wolverhampton, and later moved over Wolverhampton city centre and surrounding suburbs, causing some damage. The Wolverhampton Ring Road circumnavigates the city centre linking the majority of the city's radial routes. It was constructed in sections between 1960 and 1986, and carries the number A4150. The centre of Wolverhampton has been altered radically since the mid-1960s, with the Mander Centre (plans for which were unveiled on 15 April 1965) being opened in two phases, the first in 1968 and the second in 1971. Several refurbishments have taken place since. The Wulfrun Centre, an open shopping area, was opened alongside the Mander Centre's first phase in 1968, but has been undercover since a roof was added in the late 1990s. Central Wolverhampton police station was built just south of the city centre on Birmingham Road during the 1960s, but operations there were cut back in the early 1990s when a new larger police station was built on Bilston Street on land which became vacant a decade earlier on the demolition of a factory. This was officially opened by Diana, Princess of Wales, on 31 July 1992. The city centre had several cinemas during the 20th century. The last of these was the ABC Cinema (formerly the Savoy), which closed in 1991 after 54 years. It has since been converted into a nightclub, with part of the site being converted into the offices of a recruitment agency in 2005. A modern landmark in the city centre is the Crown Court on Bilston Street, which opened in 1990 as the town's first purpose-built crown court. A few department store chains including Marks & Spencer and Next have stores in the centre of Wolverhampton. Beatties, a House of Fraser store, was announced to close in 2019. Debenhams is set to open a 3-floor department store in the Mander Centre in 2017. Rackhams had a store on Snow Hill for some 25 years until 1992. This building was then divided between a Netto supermarket and the local archives service, but by 2006 its future was under threat as part of the proposed Summer Row retail development. This led to the closure of the Netto supermarket in June 2007 and the relocation of the archives service to the Molineux Hotel building in 2008. The building is now being demolished toward a development push from the Local Authority at various sites around the City. From the 18th century, Wolverhampton was well known for production of japanned ware and steel jewellery. The renowned 18th- and 19th-century artists Joseph Barney (1753–1832), Edward Bird (1772–1819), and George Wallis (1811–1891) were all born in Wolverhampton and initially trained as japanned ware painters. The School of Practical Art was opened in the 1850s and eventually became a close associate of the Art Gallery. Among its students and teachers were Robert Jackson Emerson (1878–1944), Sir Charles Wheeler (Emerson's most famous pupil and the sculptor of the fountains in Trafalgar Square), Sara Page who established her studio in Paris, and many other artists and sculptors recognised locally and nationally. Wolverhampton Art Gallery was established in 1884, whilst Wolverhampton Grand Theatre was opened in 1894. There is a Creative Industries Quarter in Wolverhampton, just off Broad Street, with facilities ranging from the newly opened Slade Rooms, to the art house cinema the Light House Media Centre and the Arena Theatre, which is part of the University of Wolverhampton. Wolverhampton has a strong history in the ornate cast iron safe painting industry from the Victorian era. Numerous companies, such as Chubb Lock and Safe Company, hired, taught and expanded their artistic status to international reputation, whereby a safe became truly a work of art with fine script and hand-painted designs, highly collectible today. Even in the United States, one can find their preserved masterpieces to this day. The building was converted into a National Historic Registered Landmark Treasure in 1992, which now houses a cinema, art galleries, nightclub, business offices and a large stained glass rotunda in its foyer. It is among the few canal street factories so well known in the "Black Country" that has been preserved. Wolverhampton's biggest public art display took place between July and September 2017; Wolves in Wolves saw the installation of 30 wolf sculptures in the city centre and West Park, with the sculptures auctioned off to raise money for charity. As its wealth and influence grew, Wolverhampton both took part in notable exhibitions and hosted them. The Great Exhibition of 1851, at The Crystal Palace, had examples of locks, japanned ware, enamel ware and papier-mâché products all manufactured in Wolverhampton. Following successful exhibitions at Mechanics' Institutes in Manchester and many northern towns, Wolverhampton held an exhibition that was the brain child of George Wallis, an artist employed by the firm of Ryton and Walton. The exhibition was held in the Mechanics' Institute in Queen Street and showed fine art, furniture, and decorated trays, as well as a variety of ironwork, locks and steel toys. On 11 May 1869 The Earl Granville opened the Exhibition of Staffordshire Arts and Industry in a temporary building in the grounds of Molineux House. The largest and most ambitious exhibition was the Arts and Industrial Exhibition which took place in 1902. Although housing only one international pavilion, from Canada, the scope and scale of the exhibition mirrored all the advances in other exhibitions of its time. The exhibition site featured several halls housing machinery, industrial products, a concert hall, two bandstands, a restaurant, and a fun fair with thrill rides and a water chute. Its opening, by the Duke of Connaught, was received with hopeful enthusiasm, unfortunately not matched by the weather, which contributed to a £30,000 loss, equivalent to nearly £2M at today's value. Wolverhampton lies northwest of its larger near-neighbour Birmingham, and forms the second largest part of the West Midlands conurbation. To the north and west lies the Staffordshire and Shropshire countryside. Wolverhampton city centre falls outside of the area traditionally known as the Black Country, although some districts such as Bilston and Heath Town and the Willenhall side of Wolverhampton fall within the Black Country coalfields, leading to confusion as to whether the entire city falls within the region. Modern usage has tended towards using the term to refer to the western part of the West Midlands county, excluding Birmingham, Solihull and Coventry. Examples would be UK Government regional bodies such as the Black Country Development Corporation, under whose remit the city fell. The city lies upon the Midlands Plateau at 163 m (535 ft) above sea level. There are no major rivers within the city, although the River Penk and River Tame (tributaries of the River Trent) rise in the city, as does Smestow Brook, a tributary of the River Stour, and thence the River Severn. This means that the city lies astride the main east-west watershed of England. The geology of the city is complex, with a combination of Triassic and Carboniferous geology; specifically Bunter and Keuper sandstone, and Upper and Middle Coal measures. There is also an area of dolerite intrusions. Wolverhampton's climate is oceanic (Köppen Cfb) and therefore quite temperate, with average maximum temperatures in July being around 21 °C (70 °F), and with the maximum daytime temperature in January being around 6.9 °C (44.4 °F). The Met Office's nearest observation station is at Penkridge, about 11 miles (18 km) north of the city. As with much of the locality, the majority of areas in Wolverhampton have names that are of Old English (Anglo-Saxon) origin, with a few exceptions such as Penn (pre-English Brittonic place name) and Parkfields, Park Village, Lanesfield etc. (modern place names of the last couple of hundred years). †–Partial Municipal Boroughs or Urban Districts added to Wolverhampton County Borough in 1966 and communities within these. These Urban Districts were split between Wolverhampton and other local authorities. Those parts within the present City of Wolverhampton local council area are considered by the ONS to be part of the Wolverhampton Urban sub-division. ††–Areas within the Wolverhampton Urban Sub-division but administered by South Staffordshire District Council. The vast majority of Wolverhampton is governed locally by City of Wolverhampton Council, although some smaller parts of the urban area are governed by South Staffordshire District Council. The area administered by the City Council is represented in the national United Kingdom parliament by three MPs representing Wolverhampton South West, Wolverhampton South East and Wolverhampton North East constituencies, with the areas administered by South Staffordshire District Council being represented by South Staffordshire constituency. The entire city is part of the West Midlands constituency of the European Parliament. The City of Wolverhampton is a metropolitan borough, meaning that its City Council is effectively a unitary authority, and therefore is single-tier and provides all services to the district that a borough and county council would together. 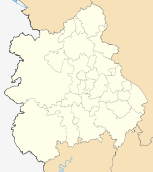 South Staffordshire District Council is a two-tier authority, with some services provided by Staffordshire County Council. The council offices are in the Civic Centre, which is located in St Peter's Square in the city centre. The city council's motto is 'Out of darkness cometh light'. The Labour Party currently control the council and have been in majority on the council since 1974, with the exceptions of 1978–1979, 1987, 1992–1994 and 2008–2010. The Labour party won 18 out of 20 council seats that were up for election in 2016. Conservative Councillor Barry Findlay is Mayor of Wolverhampton for 2016–17. Wolverhampton gained the beginnings of modern local government in 1777, when the Wolverhampton Improvement Act was passed by Parliament. This allowed for the establishment of 125 Town Commissioners who undertook a variety of local improvement work such as punishing bear baiting, improving drainage, widening streets and by the end of the century street lighting had been provided at every street corner and over the doorway of every inn, and water supply had been improved by the sinking of ten new wells and the provision of a great water tank in the market place. Policing had been improved with the appointment of ten watchmen and attempts were also made to regulate the markets and inspect hazardous food. Wolverhampton parliamentary borough was created by the Reform Act 1832, which included areas currently located with the Metropolitan Boroughs of Dudley, Walsall and Sandwell such as Wren's Nest, New Invention and Sedgley. It was one of 22 large towns that returned two members of parliament. Under the Redistribution of Seats Act 1885, the original borough was replaced by three new single-member constituencies: Wolverhampton East, Wolverhampton South and Wolverhampton West. In 1837, Wolverhampton Borough Police was formed. It was disestablished in 1966, and the larger West Midlands Constabulary, which covered not only Wolverhampton but the County Boroughs of Walsall, Dudley, West Bromwich and Warley took over its duties and was headquartered in the city. This force was then replaced in 1974 with the West Midlands Police. Wolverhampton was incorporated as a municipal borough in 1849 under the Municipal Corporations Act 1835. The town was then made a County Borough in 1889 under the Local Government Act 1888. In 1933, the boundaries of the borough expanded, taking in areas from Cannock Rural District and Seisdon Rural District, with very little of the surrounding urban area being affected, with only Heath Town Urban District being abolished. The bulk of the urban districts of Bilston (a borough itself after 1933), Tettenhall and Wednesfield were added to the borough in 1966, along with the northern section of the urban district of Coseley and parts from the north of Sedgley and the west of Willenhall. The vast majority of these areas were traditionally part of the Parish of Wolverhampton, and were part of the original Parliamentary Borough. Wolverhampton was one of only two County Boroughs (the other being Liverpool) to have no changes made to the boundary during the 1974 reorganisation of local government, the borough already having a population larger than the 250,000 required for education authorities. This contrasted with both the Redcliffe-Maud Report, and the initial White Paper for the 1974 reforms where large areas of the present South Staffordshire district were to be added to the borough. During the 1974 reforms it was placed within the West Midlands Metropolitan County. Wolverhampton was also a Royal Peculiar covering a large area. The Local Government Act 1972 (Section 249) provides for appointment of Honorary Aldermen. The names of Honorary Aldermen are inscribed on a roll of honour board. This is situated on the ground floor of the Civic Centre. The main police station for Wolverhampton is based on Bilston Street in the city centre. Wolverhampton Borough Police became part of West Midlands Constabulary in 1966. Policing is currently delivered by West Midlands Police. The 2001 Census gives the Wolverhampton Urban Subdivision as the second largest in the West Midlands conurbation. The figure given for Wolverhampton is 251,462 which also includes areas outside the borough (236,583). By this reckoning it is the 12th largest city in England outside London. Wolverhampton has a relatively old population, with the proportion of the population aged 60 and over being larger than the proportion of children aged 15 or under. The proportion of young people in the city has decreased between the 1991 Census and the 2001 Census by 7.4%, compared with an England and Wales average increase of 1.7%. The proportion of females within the city (51%) is slightly higher than that of males (49%). Of adults aged over 16, 31.3% were single, 43.4% were married for the first time, 7.7% divorced and 9.6% were widowed. Wolverhampton has a White British population of 78.9%, with 22.2% of residents classifying themselves as non-white in the 2001 Census, with the largest non-white category being Indian at 12.3%, which compares with a West Midlands average of 6.2% and an England and Wales average of 2.1%. Wolverhampton had a significant Asian population who mainly reside in Penn, Farndale and Whitmore Reans areas of the city. It has a high black population who mainly reside in the Heath Town and Whitmore Reans areas of the city. The city is well multicultural and racial tensions and prejudices are amongst the lowest in the country. Based upon the 2001 census, Wolverhampton has a Christian population of 67.4% and non-Christian religions of 13.6% of people, compared with 5.5% for England and Wales. Wolverhampton has the fourth largest Sikh community in England and Wales. Sikhs accounting for 7.6% of Wolverhampton's population in 2001. Wolverhampton's Sikh Population rose to 9.1% in the 2011 census. The number of Hindus is also higher than the England and Wales average (Wolverhampton 3.9%, England and Wales 1.1%), while the proportion of people following Judaism and Islam was below the average for England and Wales. The figure for Buddhism is in line with the England and Wales average. The 2009 British Social Attitudes Survey, which covers Great Britain but not Northern Ireland, indicated that over 50% of the population would self classify as not religious at all and this should be reflected in the current general Wolverhampton population. According to the 2001 Census, 62.2% of the population of the city between the ages of 16 and 75 are considered to be economically active, with 37.5% holding full-time employment, 11.3% part-time employment, 5.4% self-employed and 2.6% being full-time students with other employment. Of those who are economically inactive, 14.4% were retired, 7.1% were looking after homes or families, whilst 5.1% were full-time students without other employment. Degree-level qualifications (or above) were held by 13.6% of the population (compared with 19.8% in England and Wales), while 40.7% possessed no qualifications (compared with 29.1% across England and Wales). Wolverhampton is within the top 11% of local council areas in England and Wales (excluding London Boroughs) for public transport use for travelling to work at 16% of the total. 63% used private transport, either as a driver or passenger, 13% cycled or travelled on foot, whilst 8% worked from home. Car ownership is lower than the average for England and Wales with 35.2% of households not owning a car, compared with 26.8% nationally. Single car ownership is in line with national averages (Wolverhampton 42.9%, England and Wales 43.8%), while the proportion of households owning more than one car is lower than the national average. Within the city there is an LGBT community with an LGBT club in the city centre. According to the 2001 Census, Wolverhampton is one of the 243 Travel to Work Areas in the United Kingdom. There were 163,378 people resident within the TTWA who were in employment, and 157,648 jobs. The TTWA extends outside the city itself into the local council districts of Dudley, Walsall, South Staffordshire and Shropshire and has an area of 405 km2 (156 sq mi). According to Eurostat data, Wolverhampton has its own Larger Urban Zone, which had a total resident population in 2004 of 344,400. The tables below detail the population change since 1750, separating that of the city itself and the geographical area now administered by Wolverhampton City Council. Traditionally, Wolverhampton's economy has been dominated by iron, steel, automobiles, engineering and manufacturing industries. Many of the traditional industries in the city have closed or dramatically downsized over the years. However, by 2008 the economy was dominated by the service sector, with 74.9% of the city's employment being in this area. The major subcomponents of this sector are in public administration, education and health (32.8% of the total employment), while distribution, hotels and restaurants take up 21.1%, and finance and IT takes up 12.7%. The largest non-service industry was that of manufacturing (12.9%), whilst 5.2% of the total employment is related to the tourism industry. In 2014 Jaguar Land Rover opened a £500 million Engine Assembly Plant at the i54 business park, Wolverhampton. Unveiled by Her Majesty, the plant produces 2.0-litre 4-cylinder Ingenium diesel and petrol engines. Having already been expanded once before, in 2015 it was announced that the factory would be doubling in size to 200,000 sq m (2,152,782 sq ft), costing $450 million. This expansion would see the workforce double from 700 to 1,400. Goodyear opened a large factory on Stafford Road, Fordhouses, in 1927. However, it was decided in December 2003 that tyre production at the plant would be discontinued with the loss of more than 400 jobs. This came after some 2,000 job losses at the plant since 1997. The end of production came in 2004 but the factory remains open for tyre moulding and tractor tyre production. In recent years, Wolverhampton City Council have embarked on many city improvements and regeneration schemes. One such project was "Summer Row", a new £300 million retail quarter for Wolverhampton city centre. The project would have involved clearing existing buildings, and in 2006 a compulsory purchase order was issued to over 200 owner / occupiers in the surrounding area. Construction of Summer Row was originally earmarked for 2008, with a completion date listed as 2010, but the 2008 recession put the project on hold. In January 2011, the Summer Row project was officially declared dead as the government permission for the compulsory purchase order expiry date rolled round without the council having found the necessary financial backing for the project. Debenhams, who were listed as the anchor store of Summer Row, announced they were still keen in opening a department store in Wolverhampton. It was revealed they would open an anchor store in a £35 million redevelopment of the Mander Centre. To be completed in 2017, the 90,000 sq.ft store would create 120 jobs. The redevelopment will also see the Mander Centre be fully refurbished and reconfigured. A number of larger stores will be created, replacing smaller ones. The reconfiguration will see the relocation of the toilets, escalators and elevators. The lower Central arcade will be removed and Tesco and TJ Hughes will be demolished to make way for the 3-storey Debenhams store. Wolverhampton's Interchange Project is a major redevelopment of the city's east side area worth around £120 million. Phase 1, which was completed in 2012, consisted of demolishing the old bus station and replacing it with a new £22.5 million station. This phase also included a new footbridge across the ring road towards the railway station, highway and pedestrian works, new offices for Centro and a Sainsbury's convenience store. Phase 2 which was completed in late 2015, involved the construction of the £10.6 million i10 building adjacent to the new bus station. The building contains 12,400 sq.ft of leisure and retail space on the ground floor and 36,000 sq.ft of office space above. Phase 3 began in early 2016 on expanding the train station's multi-storey car park. To be completed by December 2016, the car park will increase in capacity from 450 to over 800 spaces. The expansion of the multi-storey car park will include a new cycle and motorcycle parking, short stay parking, passenger drop off point and a taxi rank adjacent to the car park. A new entrance will be created. Wolverhampton city centre forms the main focal point for the road network within the northwestern part of the West Midlands conurbation, and out into the rural hinterland of Staffordshire and Shropshire. The road network within the boundaries of the city council area is entirely maintained by Wolverhampton City Council, whilst those parts of the urban area outside the city council area have their networks maintained by Staffordshire County Council, with the exception of M54 and A449 on the northern fringes of the urban area which are maintained by the Highways Agency. Major historical improvements to the city's road network include Thomas Telford's Holyhead Road (now part of A41), which was constructed between 1819 and 1826 to improve communications between London and Holyhead, and hence to Ireland. The majority of work within the city saw improvement to the contemporary network, though the both Wellington Road in Bilston and the cutting at the Rock near Tettenhall were newly constructed for the road, although the improvements at The Rock were constructed by the local Turnpike Trust rather than Telford himself. In 1927, the A4123 Birmingham-Wolverhampton New Road was constructed as both an unemployment relief project, and to relieve pressure on Telford's road through the Black Country. It was the first purpose built inter-city road in the United Kingdom within the 20th century, and was said to be the longest stretch of new road in Britain since the Romans. It took just three years to complete and cost £600,000. Also in 1927, the first automatic traffic lights in the United Kingdom were installed in Princes Square in the city centre. Princes Square was also the location of the United Kingdom's first pedestrian safety barriers, which were erected in 1934. In 1960, plans were announced to build a Ring Road around the centre of Wolverhampton. By the end of the 1960s, more than half of the Ring Road had been completed, stretching from Snow Hill to Stafford Street (via Penn Road, Chapel Ash and Waterloo Road), followed a few years later by a section between Snow Hill and Bilston Street. However, the final section between Bilston Street and Stafford Street (via Wednesfield Road) was not completed until 1986. Wolverhampton is near to several motorways, with four being located within 7 miles (11 km) of the city centre. The first to be constructed in the area was the M6, which opened in sections between 1966 and 1970, and connects the city with the north-west of England (including Manchester and Liverpool), Scotland as well as Birmingham and Coventry to the east, and London via the M1. Together with the M5, which opened in the area in 1970 and links the city with the south-west of England, and London via the M40, the two motorways form a north-south bypass for the city. The section of M6 motorway nearest to the city is one of the busiest within the UK, and to relieve congestion on this stretch, the M6 Toll which bypasses both the Wolverhampton and Birmingham sections of the M6 motorway was opened in 2003. The M54 motorway forms a northern bypass to the city, passing just within the fringes of the urban area, and links the city with Telford, Shrewsbury and Wales. It opened in 1983. In addition to the motorways presently constructed, there have also been several proposed near to the city that have not been constructed, or have been constructed to a lower standard. Included within these are the Bilston Link Motorway, which was first proposed in the 1960s and was eventually constructed to a lower standard in the 1980s as the A454/A463 Black Country Route; and the Western Orbital or Wolverhampton Western Bypass, which was first proposed in the 1970s as a bypass for the western side of the city and the wider West Midlands conurbation. Currently proposed by the Highways Agency is the M54 to M6 / M6 (Toll) Link Road. The route was initially proposed in the 2000s to relieve the overloaded sections of A460 and A449 near the city, and to replace a section of the cancelled Western Orbital. Whilst it appears in the current roads programme, a date for the start of construction has not been set. Wolverhampton's first railway opened in 1837, with the opening of the Grand Junction Railway, the first long-distance line in Great Britain. The main station for the city was, however, not located in the city centre, but at Wednesfield Heath, now Heath Town on the east side of the city. This station was considered to be a First Class station, though its location was obviously not ideal and it became a goods station after passenger services ceased in 1873. The station buildings were demolished in 1965, but the main station area is now a nature reserve just off Powell Street, called Station Fields and part of the edge of the northbound platform is still in situ. The track running through the station site is, however, still in use. The first station in the city centre was opened by the Shrewsbury and Birmingham Railway in 1849. This station was only intended to be temporary, and was located on the north side of Wednesfield Road beside Broad Street Basin. The station was constructed as the opening of Wolverhampton High Level was delayed. The station closed in 1852, and was demolished in the mid-1970s. In addition to the temporary station, Wolverhampton railway works were also established in 1849 by the Shrewsbury and Birmingham Railway and became the Northern Division workshop of the Great Western Railway in 1854. The permanent station on the line finally opened on 24 June 1852, and was initially known as Wolverhampton General, before being renamed as Wolverhampton Queen Street in 1853, and finally Wolverhampton High Level in 1855. The station was initially a joint station between the Shrewsbury and Birmingham Railway and the London and North Western Railway, though there were problems in the relationships between the two companies, and the station became solely LNWR in 1854 before the Wolverhampton and Walsall Railway (later part of the Midland Railway) gained access to the station in 1867. The original High Level station was demolished in 1965 as part of the electification of the West Coast Mainline, and was replaced by the current buildings on the site. Two years after the opening of the High Level station, the Oxford, Worcester and Wolverhampton Railway (OWW) opened their city centre station immediately to the east of High Level. Initially called Wolverhampton Joint, it was renamed Wolverhampton Low Level in 1856. As well as the OWW, the station also served the Birmingham, Wolverhampton and Dudley Railway and the Shrewsbury and Birmingham Railway. As the first two companies were supported by the Great Western Railway, broad gauge track was laid to the station, meaning that Wolverhampton Low Level became the most northerly station on the broad gauge network before being converted to standard gauge in 1869. Despite being featured in the second Beeching Report, The Development of the Major Railway Trunk Routes in February 1965 as being on a line earmarked for further investment, services were withdrawn progressively from Low Level starting in 1967 soon after it had been transferred administratively from the Western Region of British Railways to the London Midland region. London services were transferred to the newly electrified High Level station. Low Level was converted into a Parcels Concentration Depot in 1970, and the final passenger services were withdrawn in 1972. These services (to and from Birmingham Snow Hill) were only suspended and never legally withdrawn by British Rail, and so technically the station is still open. There were also a number of suburban stations in Wolverhampton – including Dunstall Park and Bushbury north of the city centre; Tettenhall and Compton to the west side of the city on the GWR's Wombourne Branch Line; Wednesfield and Heath Town on the Wolverhampton and Walsall Railway; Portobello on the Walsall to Wolverhampton Line; Priestfield and Bilston Central on the Birmingham Snow Hill to Wolverhampton Low Level Line; and Bilston West and Daisy Bank on the Oxford-Worcester-Wolverhampton Line. Today, all of the suburban rail stations within the city have been closed, although Coseley, Codsall and Bilbrook are just outside the boundaries. Also, some of the seven Midland Metro tram stations in the city are near or directly replace these former suburban stations. The former High Level station, now simply known as Wolverhampton station is today one of the major stations on the West Coast Main Line. It has regular rail services to London Euston, Birmingham New Street and Manchester Piccadilly, as well as most other major cities in the UK. In addition to the long-distance services, there are many local services, including those on the Cambrian Line into Wales, the Walsall to Wolverhampton Line to Walsall, the Wolverhampton to Shrewsbury Line to Telford and Shrewsbury; and the Rugby-Birmingham-Stafford Line to Stafford and Coventry. The 1960s buildings of the station are proposed for redevelopment, with the main station buildings being demolished in a project called Wolverhampton Interchange. It was due to open in 2012, but work has been delayed whilst funding is sought. Buses in the city are run commercially by a number of bus operators, the largest provider of services is National Express West Midlands. As well as serving suburbs of the city, buses from the centre of Wolverhampton also provide a direct link with the city of Birmingham and connections to Walsall, Telford, West Bromwich, Stourbridge, Cannock, Stafford, Sedgley, Bilston, Bloxwich, Bridgnorth and Dudley. The city's bus station operated by Transport for West Midlands is situated at Piper's Row, near to the railway station, providing an interchange between the two modes of transport. The station has recently had a complete rebuild. Its previous Piper's Row incarnation opened on 26 October 1986, just six years after its predecessor of 1981. The station underwent a further upgrade in 1990 which saw the grade II listed Queen's Building incorporated into the bus station. A mild refurbishment took place in 2005/06 with new toilets and the addition of a coach stand. In July 2009 plans were unveiled for a complete rebuild of the bus station, which was part of Wolverhampton's Interchange Project. The bus station closed in April 2010 and was subsequently demolished. A £22.5 million station opened in July 2011. Bilston bus station is a small bus interchange located in Bilston Town Centre, Wolverhampton. It opened in 1991 as a new bus station to serve the town of Bilston and became an interchange on 31 May 1999 when the Midland Metro service opened on the adjacent railway line that had been disused since the end of 1982. Around 22 bus services operated by 11 operators serve the station which is a short, walkable distance from Bilston Central tram stop, which links the town to Birmingham, West Bromwich, Wednesbury and Wolverhampton. The station is built around a large square building which features a shop. The Midland Metro, a light rail system, currently connects Wolverhampton St. George's to Grand Central tram stop via West Bromwich and Wednesbury, mostly following the former Birmingham Snow Hill-Wolverhampton Low Level Line. There are plans for further lines within the city, with both a city centre loop and a line to Walsall via Wednesfield and Willenhall, mostly following the route of the closed Wolverhampton and Walsall Railway. All of the seven westernmost stations on the network are in Wolverhampton, with this number increasing to nine once Piper's Row and Wolverhampton station are connected to the network. In 2014/15, Centro announced in a £40 million deal, they would be replacing the entire fleet of the 16 T69 trams with 21 Urbos 3 trams. The new Urbos 3 trams are 9 metres longer; at 33 metres, with the ability of carrying 210 passengers, compared to the 156 from the T69. Additionally with the upgraded trams, Wolverhampton's Metro Line will be expanded. As part of the Wolverhampton Interchange Project; the Metro line would be extended from Wolverhampton St. George's to Wolverhampton railway station, creating one stop at Wolverhampton Bus Station and subsequently ending at the railway station. It is scheduled to be operational by 2019. Wolverhampton's original airport was at Pendeford, opened in 1938 and closed on 31 December 1970. The current Wolverhampton Airport, renamed from Halfpenny Green, is a small general aviation airfield located 8 miles (12.9 km) southwest of the city. Expansion of the airport has been suggested, but the current owners want to keep it as a General Aviation airfield. The airport hosts various "fly in" events and is an original World War two airfield. There are no navigable rivers within the city, but there are 17 mi (27 km) of navigable canals. The Birmingham Canal Main Line passes through the city centre, connecting with the remaining portion of the Wednesbury Oak Loop at Deepfields Junction, and the Wyrley & Essington Canal at Horseley Fields Junction, before passing between the railway station and the bus station in the city centre and then descending 132 feet (40m) through the 21 Wolverhampton Locks and terminating at Aldersley Junction where it meets the Staffordshire and Worcestershire Canal, which in turn connects with the Shropshire Union Canal at Autherley Junction. Most places in the borough and some of the neighbouring villages in South Staffordshire are within easy reach of the city centre by pedal cycle and terrain is moderately hilly. Climbs tend to be of two to three minutes duration. Cycling benefits from the 20 miles per hour (32 km/h) city centre within the Ring Road and a number of routes that use quieter roads and paths to avoid the ten 'A' roads that radiate from the Ring Road. Wolverhampton is on the Smethwick to Telford section of Sustrans National Cycle Network Route 81. This follows the Birmingham Main Line Canal towpath from Smethwick to Broad Street Basin, Wolverhampton where the route splits in two. The choice here is between riding the 21 locks section of the Birmingham Main Line Canal to Aldersley Junction or taking the Cross-City route braid to visit the city centre, West Park or Smestow Valley Leisure Ride before returning to Aldersley Junction. NCN81 continues to Autherley Junction along the towpath of the Staffordshire and Worcestershire Canal and then along the east bank towpath of the Shropshire Union Canal as far as Pendeford Mill Lane before turning to Bilbrook in Staffordshire. The lanes of nearby South Staffordshire and east Shropshire provide ideal cycle touring conditions. The rock groups Slade, Sahotas, Cornershop, The Mighty Lemon Drops and Babylon Zoo came from Wolverhampton, as do electronic musician Bibio, soul/R&B singer Beverley Knight, drum and bass guru Goldie, roots reggae maestro Macka B. Kevin Rowland of Dexys Midnight Runners was born in Wednesfield, Wolverhampton. Hip Hop music producer S-X who has worked with T.I., J. Cole, Birdman & Lil Wayne was born and raised and still lives in Wolverhampton. In 2010, Wolverhampton-born singer Liam Payne came third in the British television music show The X Factor with his boy band One Direction, who in March 2012 became the first British group to go straight to the top of the US music charts with their debut album, Up All Night. Wolverhampton has a number of live music venues; the largest occasionally used being the football ground, Molineux Stadium, which was used for a Bon Jovi concert in 2003, but the biggest indoor venue regularly used is Wolverhampton Civic Hall, with a standing capacity of 3,000. Second to that is Wulfrun Hall (part of the same complex as the Civic Hall, which is owned and operated by the City Council) which has a standing capacity of just over 1,100. The Civic Halls complex also has a newer venue, The Slade Rooms (named after the 1970s rock band), which has a capacity of approximately 550 standing. There are also a number of smaller venues with capacities of between 100 and 250, although the longest-established of these, the Wolverhampton Varsity, is now closed, as is the Little Civic. Other venues include the Light Bar in Fryer Street, the 'Numa Bar' and the Dog & Doublet (next to the old Little Civic), although the situation in this area of entertainment remains fluid. The 18th-century St John's Church is a venue for smaller scale classical concerts. The city is also home to Regent Records, a choral and organ music recording company, and Wolf Town DIY, an independent record label that primarily releases punk and alternative music by underground artists. The Midland Box Office is the primary sales point for most of Wolverhampton's venues and is situated in Queen Square, it is manned by a small team of dedicated and enthusiastic staff. The city's main choral groups include the City of Wolverhampton Choir, (a choral society founded as the Wolverhampton Civic Choir in 1947) and the Choir of St. Peter's Collegiate Church. The City is currently hosting its largest ever arts event - "Wolves in Wolves". Between July and September 2017, the City has 30 huge wolf statues decorating its streets, parks and buildings along a "wolf Trail". Each Wolf has been uniquely decorated by both local and visiting international artists, the project being fully sponsored by local businesses, charities and public sponsors. The event is the brainchild of City of Wolverhampton Council employee Manor Singh who has also assisted in the project delivery. The Grand Theatre on Lichfield Street is Wolverhampton's largest theatre, opening on 10 December 1894. It was designed by C. J. Phipps and completed within six months. Included amongst the people to have appeared at the theatre are Henry Irving, Charlie Chaplin and Sean Connery. It was also used by politicians including Winston Churchill and David Lloyd George. The theatre was closed between 1980 and 1982. The Arena Theatre on Wulfruna Street, within the University of Wolverhampton is the secondary theatre, seating 150. It hosts both professional and amateur performances. Cinema is catered for by a multiplex Cineworld located at Bentley Bridge, Wednesfield, and a smaller cinema, Light House Media Centre, housed in the former Chubb Buildings on Fryer Street. Cineworld mainly shows Hollywood films, other big-budget films, and some Bollywood films, whilst Light House shows a range of older and subtitled films as well as some selected new releases. Light House has also played host to visual art shows, an International Animation Festival and incorporates a small café. The City's Arts & Museums service, run by the council, covers three sites: Wolverhampton Art Gallery, home to England's biggest Pop art collection after that held at the Tate; Bantock House, a fine historic house with Edwardian interior with a museum of Wolverhampton located within Bantock Park; Bilston Craft Gallery with exhibitions of contemporary crafts. The Black Country Living Museum, situated in nearby Dudley, has a large collection of artefacts and buildings from across the Black Country, including an extensive collection associated with the city. Eagle Works Studios and Gallery situated in Chapel Ash, is a self run artists' group. It provides studio accommodation for eighteen visual artists, mostly painters. Its small gallery holds a regular programme of exhibitions to show and promote contemporary art in the city. The National Trust owns two properties on the edge of the city that are open to the public: Wightwick Manor, which is a Victorian manor house and one of only a few surviving examples of a house built and furnished under the influence of the Arts and Crafts movement, and Moseley Old Hall, which is famous as one of the resting places of Charles II of England during his escape to France following defeat at the Battle of Worcester in 1651. English Heritage owns Boscobel House, within Shropshire, another refuge of Charles II. Nearby museums also include the Royal Air Force Museum, at RAF Cosford and the RAF Fire Service Museum at Wolverhampton Airport., whilst Chillington Hall, which boasts of grounds designed by Capability Brown, and Himley Hall are nearby examples of houses open to the public. Located on the corner of Garrick Street and St George's Parade, Wolverhampton Central Library is a Grade II listed building, designed by architect Henry T. Hare and opened in 1902. It was originally commissioned to commemorate Queen Victoria's Diamond Jubilee using funds raised by the Mayor, Alderman S Craddock, and by a grant of £1,000 from Andrew Carnegie. This new library improved public access to information and reading material, replacing its cramped predecessor in the old Garrick Street Police Station. The terracotta exterior has a tripartite theme of related, but distinct façades. The entrance façade is the architect's centrepiece and is decorated with a frieze under the triple window which carries the Royal Coat of Arms and the Wolverhampton Coat of Arms. The other two façades celebrate English literary giants; Chaucer, Dryden, Pope, Shelley, Byron and Spenser on one side and Milton and Shakespeare on the other. An extension for a newsroom and a students' room was added in 1936 followed by a small brick and concrete extension at the rear in the 1970s. Wolverhampton City Council also operate 14 branch libraries within the city. Wolverhampton is home to the Express & Star newspaper, which boasts of having the largest circulation of any provincial daily evening newspaper in the UK. Parent company Midland News Association is based in Wolverhampton. The city is home to three radio stations: the community radio station WCR FM which broadcasts solely to the city, whilst The Wolf and Beacon Radio have been absorbed into regional stations Signal 107 and Free Radio respectively, though both still broadcast from their studios in the city. In December 2005, the BBC commissioned the poet Ian McMillan to write a poem about Wolverhampton, along with four other towns which apparently "had a reputation they didn't deserve". The University of Wolverhampton is the main provider of higher education in the city. The university currently has more than 23,000 students. In 1835, the Wolverhampton Mechanics' Institute was founded, and its lineage can be traced via the Wolverhampton and Staffordshire Technical College (1935), to The Polytechnic, Wolverhampton (1969) to today's University of Wolverhampton, given university status in 1992. The main university campus is in the city centre, with other campuses at Compton, and in the nearby towns of Walsall and Telford. Wolverhampton Grammar School was founded in 1512, making it one of the oldest active schools in the UK. Old boys include Mervyn King, Governor of the Bank of England between July 2003 and 2013, and Sir David Wright, former British Ambassador to Japan. Other notably historic schools include The Royal Wolverhampton School (founded in 1850), and Tettenhall College (1863), which educated the winner of Nobel Prize for Chemistry, Professor Sir Arthur Harden. City of Wolverhampton College is the main further education college in the city. Wolverhampton Girls' High School is a well known selective school which has produced top of league table results within Wolverhampton. Notable old girls include the former English women's cricket captain Rachael Heyhoe-Flint and Baroness Hayman, first Lord Speaker of the House of Lords, as well as Georgia Elwiss, a member of the current 2015 women's cricket team. St Peter's Collegiate School was founded in 1847 in buildings adjacent to S. Peter's Collegiate Church in Wolverhampton town centre. It moved to the present extensive green site at Compton Park in 1965. S. Peter's is the oldest established educational institution currently in the state sector in Wolverhampton, with a tradition of academic, cultural and sporting excellence nourished by Christian spiritual and moral values. Previous students include record breaking goal scoring footballer Arthur Rowley and Ben Godfrey, a TV presenter and reporter on Midlands Today. Wolverhampton, unlike a number of nearby areas such as Dudley and South Staffordshire, has always had traditional age range schools; 5–7 infants, 7–11 juniors and 11-16/18 secondary schools. Some secondary schools have sixth form facilities for children aged 16+. Wolverhampton is represented in the Premier League, the first tier of English football, by Wolverhampton Wanderers FC. 'Wolves', as they are known, are one of the oldest English football clubs, and were one of the 12 founder members of the Football League. Their most successful period was the 1950s, where they won three Football League Championships (then the highest division) and two FA Cups, and were involved in the earliest European friendlies. They were hailed by the press as 'The Unofficial World Champions' after one of their most famous victories, against Budapest Honvéd FC of Hungary. They were also the first English team to play in the Soviet Union. These victories instigated the birth of the European Cup competition which later evolved into the UEFA Champions' League (see European Cup and Champions League history). In total, they have won three Football League titles (prior to the top division becoming the Premier League), four FA Cups, have two League Cup victories and many other minor honours, including reaching the UEFA Cup Final in 1972, and appearances in the last eight of both the UEFA European Cup, and the European Cup Winners' Cup, but spent just one season in the top division between 1984 and 2009. They are also the only club to have won five different league titles; they have championed all four tiers of the professional English league, as well as the long-defunct northern section of the Third Division. Wolves have a long-established rivalry with West Bromwich Albion. Separated by 12 mi (19 km), the two clubs have faced each other over 160 times since 1886. Aston Villa and Birmingham City FC are also close rivals of Wolves, having played them 121 and 136 times respectively. Geographically, Walsall FC are closest to Wolves, but rarely compete at the same level. Since 1886, the two clubs have only played 16 times against each other. Several other Wolverhampton-based clubs play non-league football, notably AFC Wulfrunians and Wolverhampton Sporting Community FC in the Midland Football League Premier Division and Wolverhampton Casuals FC, Wednesfield FC, and Bilston Town FC in the West Midlands (Regional) League. Wolverhampton's Aldersley Leisure Village is also home to Wolverhampton & Bilston Athletics Club, which was formed in 1967 with a merger between Wolverhampton Harriers and Bilston Town Athletic Club. They have won the National League Division One for men from 1975 to 1982, and the Men's National Cup finals in 1976, 1977, 1979 and 1980. It also represented Britain in the European Clubs Cup from 1976 to 1983 with the best finishing position of third. Olympic Medallists in athletics Sonia Lannaman and Tessa Sanderson lived within the city. Wolverhampton Wheelers is the city's oldest cycling club (formed in 1891), and was home to Hugh Porter who won four world championship pursuit titles; and Percy Stallard who has been credited with bringing cycle road racing to Britain when he held the Llangollen to Wolverhampton race on 7 June 1942. Wolverhampton Wheelers make extensive use of the velodrome at Aldersley Stadium. Wolverhampton was also the home of Trevor Gadd, who was a six time British National Cycle champion and two-time silver medallist at the 1978 Commonwealth Games, as well as a fifth-place finisher in the 1977 UCI Track Cycling World Championships in Venezuela. Wolverhampton has also hosted the Tour of Britain, with a stage start in 2006, a stage finish in 2007 and a sprint finish in 2008. It is also home to Wednesfield Aces cycle speedway who are based on Ashmore Park. Wolverhampton Racecourse is located at Dunstall Park, just to the north of the city centre. This was one of the first all-weather horse racing courses in the UK and is Britain's only floodlit horse race track. There is also greyhound racing at Monmore Green. West Park, a large park near the city centre, was converted from a racecourse. A horse by the name of Wolverhampton was among the leading contenders for the 1849 Grand National at Aintree but did not complete the course. Sunbeam built many early Grand Prix cars and was the only British make to win a Grand Prix in the first half of the 20th century. Sunbeam also built several holders of the Land speed record, including the first vehicle to travel at over 200 miles per hour (322 km/h), the Sunbeam 1000 hp. AJS was heavily involved in motorcycle racing either side of World War II, which included winning the 1949 World Championship in the 500cc category. Kieft Cars built Formula Three cars in the early 1950s. Their best known driver was Stirling Moss. Wolverhampton Wolves, one of the leading speedway clubs in the UK represents the city, participating in the Elite League at the Monmore Green stadium. Wolverhampton Speedway is one of the oldest speedway tracks in the world that is still in operation being first used, albeit briefly in 1928. The track re-opened in 1950 for a single meeting and in 1952 the Wasps competed in the Third Division on the National League. The track closed early in 1954 and did not re-open until 1961 when the Wolves were introduced to the Provincial League. The track has almost been an ever-present ever since and currently operates in the British Elite League. Ole Olsen (in 1971 and 1975), Sam Ermolenko (in 1993) and Tai Woffinden (in 2013) were riders for the club when they became World Speedway Champions. The Wolves are defending Elite League champions, having defeated the Belle Vue Aces in the 2016 play off final. Le Mans 24 Hours winner Richard Attwood is from the city. Wolverhampton is home to the Carver Wolverhampton City Marathon. The marathon is part of a series of events whose main goal is to raise money for charity. There are a number of notable people who are associated with Wolverhampton. Political figures include Enoch Powell MP, Sir Charles Pelham Villiers MP – who holds the record for the longest serving MP, Helene Hayman, Baroness Hayman who was the first Lord Speaker within the House of Lords, former Cabinet minister Stephen Byers, Boris Johnson who briefly worked as a writer for the Express & Star, David Wright, a former UK Ambassador to Japan and Button Gwinnett, who was a signatory of the US Declaration of Independence and briefly served as Governor of Georgia. There are many sportspeople associated with the city, with footballers such as Billy Wright, Steve Bull, Bert Williams and Jimmy Mullen; along with Percy Stallard and Hugh Porter within the world of cycling, the Olympic medallist swimmer Anita Lonsbrough, professional darts player Wayne Jones, racing driver and winner of the 24 hours of Le Mans Richard Attwood as well as athletes such as Tessa Sanderson and Denise Lewis and cricketer Vikram Solanki who grew up here and played for Wolverhampton Cricket Club before joining Worcestershire. Entertainers include actors Nigel Bennett, Goldie, Frances Barber, Meera Syal and Eric Idle; and musicians Noddy Holder, Dave Hill, Beverley Knight, Dave Holland, Maggie Teyte, Edward Elgar, Mitch Harris, Robert Plant, Bibio, Paul Raven, trap-metal rapper Scarlxrd, and Liam Payne of the group One Direction; and television presenters Suzi Perry, Mark Rhodes and Mark Speight. Within the area of commerce and industry, Sir Alfred Hickman (first Chairman of Tarmac), Sir Geoffrey Mander, John Marston founder of Sunbeam Cycles and Sunbeam Motor Car Company, John 'Iron Mad' Wilkinson (pioneer of Cast iron) and Mervyn King Governor of the Bank of England are amongst the most notable. Prof Ernest Geoffrey Cullwick, a specialist in electromagnetism and its effects on atomic particles, was born and raised in Wolverhampton. ^ "2011 Census: Ethnic group, local authorities in England and Wales". ONS. Retrieved 12 December 2012. ^ "2011 Census: KS101EW Usual resident population, local authorities in England and Wales". Office for National Statistics. 11 December 2012. Retrieved 20 December 2012. ^ "Historic Cities in Western Europe". City Mayors. Retrieved 17 June 2008. ^ a b Keith Farley (1985). "Wolverhampton 985 – 1985". Wolverhampton History & Heritage Society. Retrieved 8 July 2007. ^ a b Horovitz, David (2005). The Place-names of Staffordshire. pp. 585, 662. ISBN 0955030900. ^ Upton, Chris (2007). A History of Wolverhampton. The History Press. pp. 8, 179. ISBN 186077508X. ^ Rudi Herbert. "An Architectural Walk". Wolverhampton History & Heritage Society. Archived from the original on 2 December 2007. Retrieved 8 July 2007. ^ "Anglicanism". Wolverhampton City Council. 2005. Retrieved 13 November 2012. ^ "The History of Wolverhampton the City and its People". Wolverhampton Archives and Local Studies. Retrieved 13 June 2008. ^ Horovitz, David (2010). Notes and Materials on the Battle of Tettenhall 910 A.D., and Other Researches. ISBN 978-0-9550309-1-8. ^ "Wolverhampton City Council – Wodensfield School". Wolverhampton City Council. Archived from the original on 1 September 2007. Retrieved 8 July 2007. ^ "Wodensfield Tower". Skyscraper Page. Retrieved 8 July 2007. ^ a b c "Lady Wulfruna". Wolverhampton History and Heritage Society. Archived from the original on 27 May 2008. Retrieved 13 June 2008. ^ a b c d e f g "History of Wolverhampton". Wolverhampton History and Heritage Society. Retrieved 13 June 2008. ^ "Domesday Book". Retrieved 6 January 2015. ^ "Wolverhampton Coat of Arms – Wolverhampton History". Wolverhampton City Council. Retrieved 11 June 2008. ^ "Wolverhampton Grammar School". Wolverhampton Grammar School. Archived from the original on 18 June 2008. Retrieved 16 June 2008. ^ "Up to 1700, Wolverhampton History & Heritage Website". Localhistory.scit.wlv.ac.uk. Archived from the original on 2 October 2012. Retrieved 24 July 2012. ^ "Time Line for Rowley". Rowleyvillage.webs.com. Retrieved 24 July 2012. ^ Rana, Suhail (2009). "New evidence supporting Wolverhampton as the location of the first working Newcomen engine". International Journal for the history of Engineering and Technology. 72 (2): 162–173. ^ a b "A History of Wolverhampton 985–1985". John Woodfield. Archived from the original on 28 August 2007. Retrieved 26 June 2008. ^ a b "The first trunk line – The Grand Junction Railway" (PDF). Virgin Trains. Archived from the original (PDF) on 3 October 2008. Retrieved 1 July 2008. ^ a b "Heath Town Station". Wolverhampton History and Heritage Society. Archived from the original on 8 October 2006. Retrieved 1 July 2008. ^ a b "A History of Manufacturing in Wolverhampton". John Woodfield. Archived from the original on 29 September 2007. Retrieved 1 July 2008. ^ "Queen Victoria's Visit to Wolverhampton". Wolverhampton Archives & Local Studies. Archived from the original on 14 February 2008. Retrieved 17 June 2008. ^ "Wolverhampton". The Drill Hall Project. Retrieved 4 September 2017. ^ "History of Wolverhampton Bicycle Industry". Wolverhampton History. 7 September 2005. Retrieved 24 July 2012. ^ "The Viking Cycle Company". Wolverhampton History and Heritage Website. Retrieved 1 December 2014. ^ "The Bicycle Industry". Wolverhampton History. 8 September 2005. Retrieved 24 July 2012. ^ "Wolverhampton Station". Rail around Birmingham and the West Midlands. Retrieved 1 July 2008. ^ "Wolverhampton low level". Disused Stations. Retrieved 1 July 2008. ^ "Mander Family History". Wolverhampton History and Heritage Society. Archived from the original on 8 October 2006. Retrieved 1 July 2008. ^ "A Wolverhampton Wander". BBC Black Country. Retrieved 1 July 2008. ^ "A History of Council Housing in Wolverhampton :: Geograph Britain and Ireland – photograph every grid square!". Geograph.org.uk. 13 March 2011. Retrieved 24 July 2012. ^ "Trams in Wolverhampton". Wolverhampton History and Heritage Society. Archived from the original on 10 March 2009. Retrieved 1 July 2008. ^ Graham Sidwell (2006). Wolverhampton Trolleybuses 1961–67. Middleton Press. ISBN 978-1-904474-85-2. ^ a b "Traffic Control and Traffic Signals". Wolverhampton City Council. Archived from the original on 20 September 2008. Retrieved 1 July 2008. ^ a b "Steelway Limited". Wolverhampton History and Heritage Society. Archived from the original on 31 May 2013. Retrieved 24 December 2012. ^ "Hansard". 18 November 1927. Retrieved 1 July 2011. ^ "Hansard". 18 July 1923. Retrieved 1 July 2011. ^ "The Secret History of the Motorway". Pathetic Motorways. Retrieved 24 December 2012. ^ "BBC Radio 4 - The Turban Bus Dispute". BBC. ^ a b c J.V. Beckett (2006). City Status in the British Isles, 1830–2002. Ashgate Publishing. ISBN 978-0-7546-5067-6. ^ "The town determined to join the city life". The Times. 23 January 1985. p. 12. ^ "City winners named". BBC News. 18 December 2000. Retrieved 8 July 2007. ^ "St Peter's Church". Localhistory.scit.wlv.ac.uk. Archived from the original on 27 September 2012. Retrieved 24 July 2012. ^ Wulfrun, Lady (24 October 2008). "Lindy Lou, AKA The Copper Kettle, 19 Victoria Street, Wolverhampton, 1979". Flickr. Retrieved 24 July 2012. ^ "European Severe Weather Database". www.eswd.eu. ^ "Those were the days". Express & Star. Retrieved 24 July 2012. ^ "A History of Wolverhampton". Localhistories.org. Retrieved 24 July 2012. ^ Wulfrun, Lady. "Market Street, Wolverhampton June 1981". Flickr. Retrieved 24 July 2012. ^ "A Century of Cinema in Wolverhampton". Localhistory.scit.wlv.ac.uk. Archived from the original on 12 July 2012. Retrieved 24 July 2012. ^ "Wolverhampton's Architectural Heritage". Archived from the original on 15 May 2008. Retrieved 6 March 2010. ^ a b Penfold, Simon 140 years of city history faces the end with Beatties closure, Express & Star, Wolverhampton, 7 June 2018. Retrieved on 7 June 2018. ^ Frank Sharman. "Wolverhampton at the Great Exhibition, 1851". Wolverhampton History & Heritage Website. Archived from the original on 3 February 2013. Retrieved 15 October 2012. ^ a b c Frank Sharman. "Exhibitions Great and Small". Wolverhampton History & Heritage. Archived from the original on 7 March 2012. Retrieved 15 October 2012. ^ "Currency Converter". National Archive. Retrieved 16 October 2012. ^ "Key Statistics for Urban Areas in the Midlands" (PDF). Office for National Statistics. Archived from the original (PDF) on 24 July 2004. Retrieved 2 July 2008. ^ elevationmap.net. "5a Market St Wolverhampton West Midlands Wv1 3ae Uk on the Elevation Map. Topographic Map of 5a Market St Wolverhampton West Midlands Wv1 3ae Uk". elevationmap.net. Retrieved 2018-03-19. ^ The West Midland Group (1948). Conurbation: A Survey of Birmingham and the Black Country. London: The Architectural Press. p. 41. ^ "Averages for Wolverhampton". msn. ^ "Wolverhampton climate". Met Office. ^ "Wolverhampton Unitary Development Plan". ^ "ArcGIS Web Application". wolverhampton.maps.arcgis.com. ^ "City of Wolverhampton Council: Contact Us". City of Wolverhampton Council. Archived from the original on 23 May 2008. Retrieved 29 May 2008. ^ "Low Hill Branch Library". Wolverhampton History & Heritage Society. Archived from the original on 2 December 2007. Retrieved 8 July 2007. ^ "Wolverhampton City Council local elections 2008". BBC. 2 May 2008. Retrieved 29 May 2008. ^ "A Message from the Mayor". City of Wolverhampton Council. 5 June 2016. Retrieved 6 June 2016. ^ "Local Government in Wolverhampton". The History of Wolverhampton – The City and its People. 2005. Retrieved 15 July 2007. ^ "Parliamentary Representation". Wolverhampton Archives and Local Studies. Retrieved 29 January 2013. ^ "Wolverhampton Borough Police". West Midlands Police Museum. Retrieved 23 July 2008. ^ a b "Archive Gazetter – Wolverhampton". Staffordshire County Archives. Archived from the original on 7 March 2012. Retrieved 23 July 2008. ^ a b "Relationships / unit history of WOLVERHAMPTON". A Vision of Britain. Archived from the original on 1 October 2007. Retrieved 15 July 2007. ^ "The Church". St. Peter's Guild of Change Ringers. Archived from the original on 30 August 2008. Retrieved 23 July 2008. ^ a b "Your local stations". West Midlands Police. Retrieved 10 February 2014. ^ "Freemen of Wolverhampton". Wolverhampton Archives and Local Studies and Wolverhampton Arts and Museums Services. Archived from the original on 7 May 2013. ^ "Freedom of the City". Wolverhampton City Council. Archived from the original on 7 May 2013. ^ "KS06 Ethnic Group: Census 2001, Key Statistics for urban areas". National Statistics. Archived from the original on 4 August 2009. Retrieved 16 February 2009. ^ "KS06 Ethnic group: Key Statistics for urban areas, summary results for local authorities". National Statistics. Retrieved 16 February 2009. ^ "MARITAL STATUS" (PDF). Wolverhampton City Council. Archived from the original (PDF) on 26 September 2007. Retrieved 15 July 2007. ^ "KS07 Religion: Census 2001, Key Statistics for urban areas". National Statistics. Retrieved 16 February 2009. ^ "KS07 Religion: Key Statistics for urban areas, summary results for local authorities". National Statistics. Retrieved 16 February 2009. ^ "ECONOMIC ACTIVITY" (PDF). Wolverhampton City Council. Archived from the original (PDF) on 26 September 2007. Retrieved 15 July 2007. ^ "QUALIFICATIONS" (PDF). Wolverhampton City Council. Archived from the original (PDF) on 26 September 2007. Retrieved 15 July 2007. ^ "TRAVEL TO WORK" (PDF). Wolverhampton City Council. Archived from the original (PDF) on 26 September 2007. Retrieved 15 July 2007. ^ "CAR OWNERSHIP" (PDF). Wolverhampton City Council. Archived from the original (PDF) on 26 September 2007. Retrieved 15 July 2007. ^ "Travel to Work Areas". Office for National Statistics. Archived from the original on 1 October 2008. Retrieved 24 September 2008. ^ "Urban Audit Analysis II" (PDF). Eurostat. Archived from the original (PDF) on 30 October 2008. Retrieved 5 October 2008. ^ "European Regional and Urban Statistics" (PDF). Eurostat. Archived from the original (PDF) on 30 October 2008. Retrieved 5 October 2008. ^ "Urban Audit – City Profiles: Wolverhampton". Urban Audit. Archived from the original on 23 May 2011. Retrieved 5 October 2008. ^ "Wolverhampton USD". Vision of Britain. Retrieved 24 July 2008. ^ "Wolverhampton County Borough". Vision of Britain. Retrieved 24 July 2008. ^ "1981 Key Statistics for Urban Areas GB Table 1". Office for National Statistics. 1981. ^ "West Midlands Urban Area 1991 Census". National Statistics. Retrieved 24 July 2008. ^ "KS01 Usual resident population: Census 2001, Key Statistics for urban areas". National Statistics. Archived from the original on 20 August 2011. Retrieved 24 July 2008. ^ "Wolverhampton Metropolitan Borough". Vision of Britain. Retrieved 24 July 2008. ^ "Nomis Official Labour Market Statistics 2008 Local Authority Profile: Wolverhampton". Office for National Statistics. Archived from the original on 17 July 2011. Retrieved 15 December 2008. ^ "About Us". City of Wolverhampton College. Archived from the original on 15 June 2008. Retrieved 17 June 2008. ^ "Jobs and Careers". Wolverhampton City Council. Archived from the original on 13 June 2008. Retrieved 17 June 2008. ^ BBC News (24 November 2015). "New Jaguar Land Rover jobs in Wolverhampton factory expansion". Retrieved 14 May 2016. ^ Birmingham Post (11 November 2015). "Jobs boost as Jaguar Land Rover doubles size of engine plant". Retrieved 15 May 2016. ^ "Job losses at Goodyear". BBC News. 22 December 2003. ^ "City centre improvememnts". Wolverhampton City Council. 13 July 2012. Archived from the original on 3 May 2012. Retrieved 24 July 2012. ^ "Towler Shaw Roberts, "Compulsory Purchase (or an Englishman's home is not his castle)"" (PDF). Retrieved 24 July 2012. ^ Lou's Women (25 January 2011). "Wolverhampton's Summer Row dream is over". Express & Star. Retrieved 24 July 2012. ^ "120 jobs on way at new Wolverhampton Debenhams". Express & Star. Retrieved 12 February 2016. ^ "£35m Mander Centre revamp gets underway". Express & Star. Retrieved 12 February 2016. ^ "Wolverhampton – The Interchange". Mowbray Gill. Retrieved 12 February 2016. ^ "Interchange project moves forward". City of Wolverhampton Council. Retrieved 12 February 2016. ^ "Vision revealed as multi-million pound Wolverhampton train station revamp begins". Express & Star. Retrieved 8 March 2016. ^ "Crucial phase begins on £120m Interchange scheme". The Business Desk. Retrieved 8 March 2016. ^ "Our Road Network". Highways Agency. Retrieved 27 March 2013. ^ "Bilston Town Centre Conservation Area". Wolverhampton City Council. Archived from the original on 13 January 2013. Retrieved 27 March 2013. ^ "The Rock, Tettenhall". Wolverhampton History and Heritage Society. Retrieved 27 March 2013. ^ "Birmingham New Road circa 1927". Sedgleymanor Photo Gallery. Retrieved 17 June 2008. ^ "A580 East Lancashire Road". Lancashire Roads and Motorways Site. Archived from the original on 23 June 2007. Retrieved 24 July 2008. ^ "Forward" (PDF). Birmingham City Council. Archived from the original (PDF) on 9 June 2008. Retrieved 24 July 2008. ^ a b c d "Opening dates for Motorways in the UK in chronological order". The Motorway Archive. Archived from the original on 2 December 2008. Retrieved 17 June 2008. ^ "UK'S Congestion Hotspots Revealed". RAC Foundation. Retrieved 15 December 2008. ^ "Bilston Link Motorway". Pathetic Motorways. Retrieved 17 June 2008. ^ "Western Orbital". Pathetic Motorways. Retrieved 17 June 2008. ^ "M54 to M6 / M6 (Toll) Link Road". Highways Agency. Retrieved 17 June 2008. ^ "High Level Station". Wolverhampton History and Heritage Society. Retrieved 31 March 2013. ^ "Low Level Station". Wolverhampton History and Heritage Society. Retrieved 31 March 2013. ^ Johnston, Howard (21 March – 3 April 2012). "Regional News: Wolverhampton". Rail (692): 24. ^ "Live Departures – Wolverhampton". National Rail Enquiries. Retrieved 31 March 2013. ^ "Wolverhampton (WVH)". National Rail Enquiries. Retrieved 31 March 2013. ^ "Wolverhampton Interchange". Neptune Developments. Retrieved 31 March 2013. ^ Becky Sharpe (18 October 2006). "All change at station". Express & Star. Retrieved 17 June 2008. ^ Becky Sharpe (21 April 2011). "Government Rejects Wolverhampton Station Funding Plea". Express & Star. Retrieved 31 March 2013. ^ Wulfrun, Lady (20 January 2012). "Wolverhampton's second, but short-lived Bus Station (off Railway Drive), 1981. | Flickr – Photo Sharing!". Flickr. Retrieved 24 July 2012. ^ Lou's Women (21 June 2011). "Glowing future for Wolverhampton bus station". Express & Star. Retrieved 24 July 2012. ^ Rackley, Stuart (3 May 2013). "CAF trams for Midland Metro Expansion Project". The Rail Engineer. Coalville. Retrieved 19 November 2013. ^ Centro. "The Details". Retrieved 15 May 2016. ^ Phil Clayton (February 2004). "The Airport and Boulton Paul". The History of Pendeford. Wolverhampton History & Heritage Society. Archived from the original on 19 August 2008. Retrieved 17 June 2008. ^ "strans Route 81". Sustrans. Retrieved 24 July 2008. ^ "Cycle routes in Wolverhampton". Sustrans. Archived from the original on 14 January 2009. Retrieved 24 July 2008. ^ "BBC Black Country music". BBC. Retrieved 3 November 2007. ^ "Wolves Civic details". Wolverhampton City Council. Retrieved 24 July 2008. ^ "Wolverhampton Wulfrun Hall Information". Safeconcerts. Retrieved 24 July 2008. ^ "Wolf Town DIY website". Retrieved 11 June 2015. ^ "Regent Records: Contact Us". Retrieved 23 September 2008. ^ "City of Wolverhampton Choir". Retrieved 23 September 2008. ^ "About the Arena Theatre". University of Wolverhampton. Retrieved 15 December 2008. ^ "Cineworld Wolverhampton". Cineworld Cinemas. Archived from the original on 17 December 2008. Retrieved 15 December 2008. ^ "Light House". Light House Media Centre. Retrieved 25 July 2008. ^ "Bantock House and Museum". Wolverhampton Arts and Museums Service. Retrieved 24 July 2008. ^ "Bilston Craft Gallery". Wolverhampton Arts and Museums Service. Retrieved 24 July 2008. ^ "What is the Black Country". Black Country Living Museum. Retrieved 24 July 2008. ^ "An Introduction to Eagle Works". BBC Black Country. Retrieved 25 July 2008. ^ Greeves, Lydia (2005). History and Landscape: The Guide to National Trust Properties in England, Wales and Northern Ireland. National Trust Books. p. 429. ISBN 1-905400-13-6. ^ "Moseley Old Hall". National Trust. Archived from the original on 26 September 2008. Retrieved 29 August 2008. ^ "Boscobel House". English Heritage. Retrieved 9 December 2008. ^ "Museum Location". RAF Fire Service Museum. Archived from the original on 14 July 2006. Retrieved 29 August 2008. ^ "Chillington Hall". Chillington Hall. Retrieved 9 December 2008. ^ a b c "History of Central Library". Wolverhampton City Council. Archived from the original on 5 April 2008. Retrieved 17 June 2008. ^ "Branch Libraries". Wolverhampton City Council. Archived from the original on 24 June 2008. Retrieved 17 June 2008. ^ "About Us". Express & Star. Retrieved 9 September 2008. ^ "Talk of the Town: And the winner is..." BBC News. 19 December 2005. Retrieved 17 June 2008. ^ "History of Wolverhampton Grammar School". Wolverhampton Grammar School. Archived from the original on 18 June 2008. Retrieved 25 July 2008. ^ "Royal Wolverhampton School". ISSCC. Retrieved 25 July 2008. ^ "History of the College". Tettenhall College. Archived from the original on 23 July 2008. Retrieved 25 July 2008. ^ "School League Tables, 2004 for Wolverhampton". BBC News. Retrieved 25 July 2008. ^ soccerbase. "Head to head West Brom vs. Wolves". Retrieved 15 May 2016. ^ soccerbase. "Head to head Wolves vs. Aston Villa". Retrieved 15 May 2016. ^ soccerbase. "Head to head Wolves vs. Birmingham". Retrieved 15 May 2016. ^ soccerbase. "Head to head Wolves vs. Walsall". Retrieved 15 May 2016. ^ "Wolverhampton & Bilston Athletics Club". Wolverhampton & Bilston Athletics Club. Retrieved 18 June 2008. ^ "Newest Sporting Hall of Fame inductees". Wolverhampton City Council. 30 October 2006. Archived from the original on 4 April 2008. Retrieved 17 June 2008. ^ "Percy Stallard". The History of Wolverhampton – The City and its People. Retrieved 17 June 2008. ^ Colin Weyer. "Sunbeam – The Supreme Car". The Sunbeam Talbot Darracq Register. Retrieved 17 June 2008. ^ Jim Evans. "Cyril Kieft". Wolverhampton History & Heritage Society. Archived from the original on 28 August 2009. Retrieved 17 June 2008. ^ "Wolverhampton Speedway". BBC Black Country. 4 May 2005. Retrieved 17 June 2008. ^ "Wolverhampton repel Belle Vue to be crowned Elite League champions". Sky Sports. Retrieved 2018-03-19. Wikimedia Commons has media related to Wolverhampton. Wikivoyage has a travel guide for Wolverhampton. "Wolverhampton" . Encyclopædia Britannica. 28 (11th ed.). 1911.